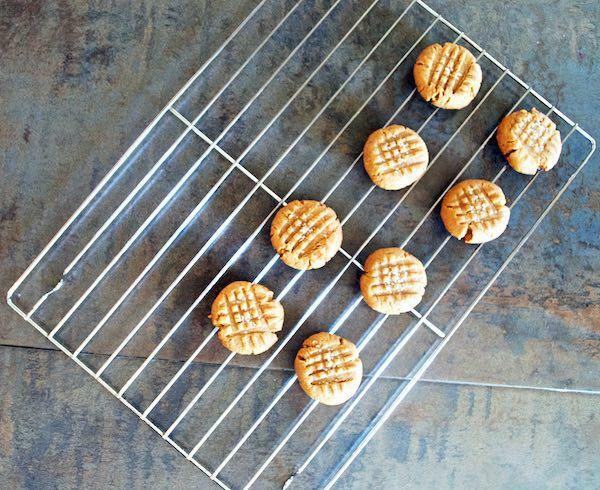 Nothing beats the comforting flavor of a soft, peanut butter cookie still warm from the oven. 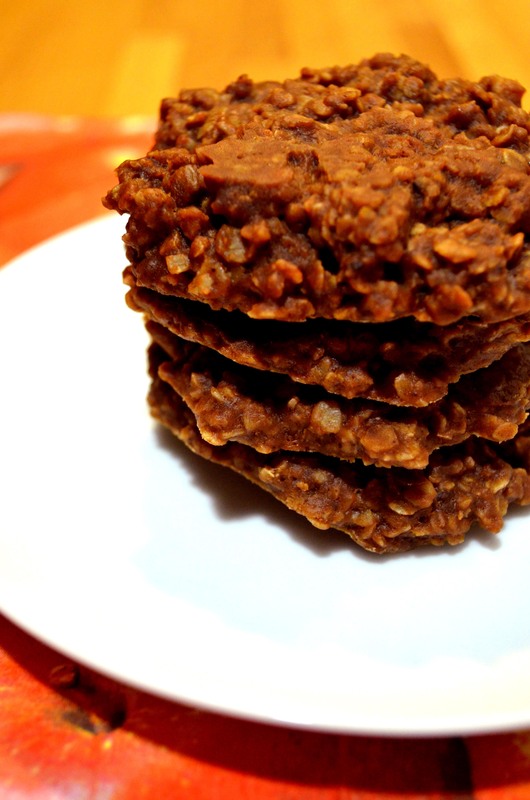 This recipe for Flourless Salted Peanut Cookies is one I’ve used since I was a kid. But when I wanted to add it to the aphrodisiac dessert book I co-wrote with Delahna Flagg, Eat Cake Naked, I needed to update the recipe to fit with the book’s theme of desserts with less sugar and more adult flavor. So I switched out the Skippy for all-natural peanut butter with no added sugar. And peanuts are on Delahna’s and my list of the Best Foods for a Woman’s Libido. So this makes it work as an aphrodisiac as well! I really love the resulting recipe. It’s the new “classic” in my house. It has great depth of peanut flavor. But to give these Salted Peanut Cookies an even more “adult” flavor profile, and to add some texture, I sprinkled the just-baked cookies with large granules of sea salt. With each bite, the tongue is surprised by the sharp spike of salt followed by the smooth, mellow sweetness of the roasted peanut cookie. 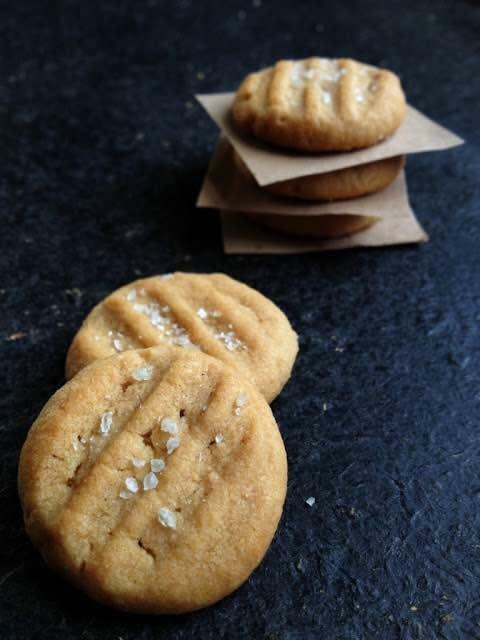 Incidentally, these Salted Peanut Cookies are naturally gluten-free. 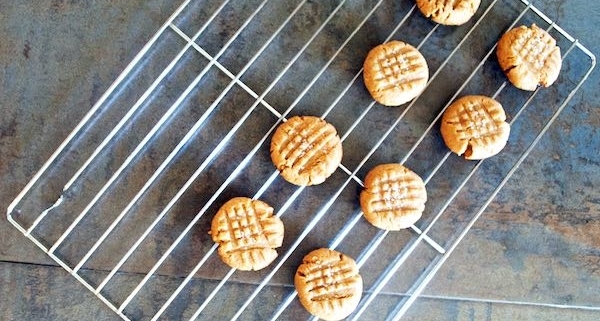 I’ve always made my peanut butter cookies without flour, long before it was the fashion. I find a flourless cookie has a softer, more pliant texture–something I find incredibly comforting in a cookie. I’ve never tried the recipe with sunflower butter. Its texture is somewhat different from the nut butters so I’m not sure how it will work but it is an experiment I intend to try one day. Let me know how it goes if you choose to take on the challenge yourself. This cookie is so simple, so addictive that we bet you’ll want to toss any peanut butter cookie recipe you’ve used before. The pinch of sea salt at the end may be too much for some. If you don’t want the extra salt, just skip it. It doesn’t diminish the sweet peanut goodness of the cookies if you do. But you will miss the sensation of the crunch and the surprise note of salt that makes the mouth water for more deliciousness. Adjust your oven racks so that one is about a third of the way from the top and a second rack is one third of the way from the bottom. In a medium mixing bowl, combine the peanut butter, egg, sugar and brown sugar. Mix until you have a smooth dough. Roll dough into 1-inch balls and place on cookie sheets about 1 inch apart. 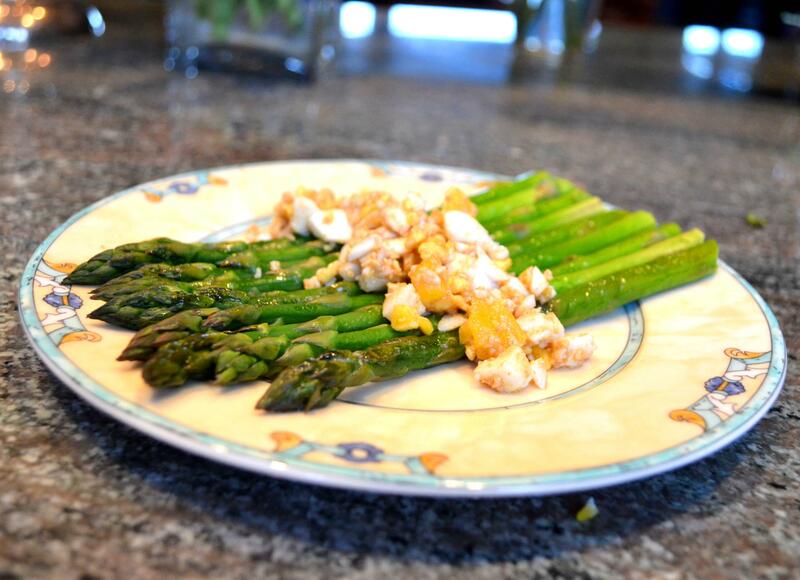 Using the tines of a fork, flatten each ball with a crosshatch pattern. Bake until golden around the edges, approximately 10 minutes. Be sure to switch racks after 5 minutes to ensure even baking. Sprinkle the top of each cookie with a pinch of sea salt then remove from tray and transfer to a cooling rack. *Normally, we recommend using saltless products for baking and adding the salt yourself. The trouble with salted peanut butter, or butter for that matter, is you don’t know exactly how much salt the product already has. But we’ve tried it with both salted and unsalted peanut butters and it doesn’t make a real difference. 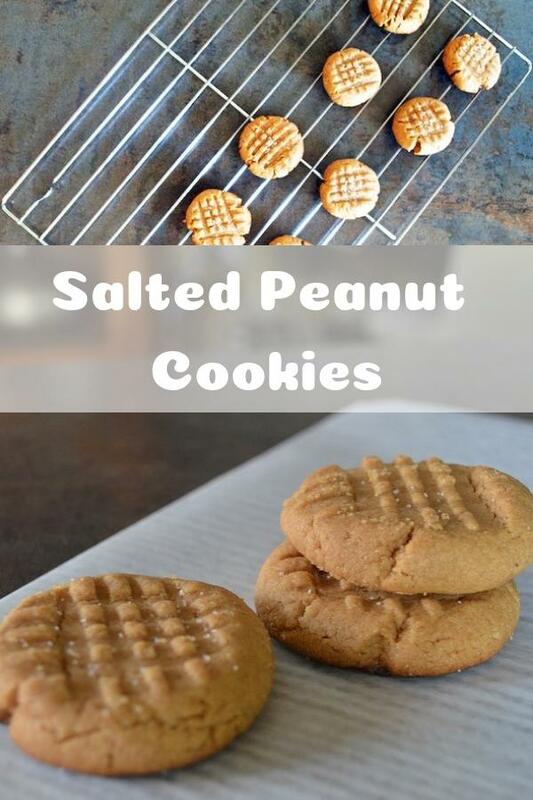 If you prefer to use unsalted peanut butter, add 1/4 teaspoon salt to the ingredients before mixing. 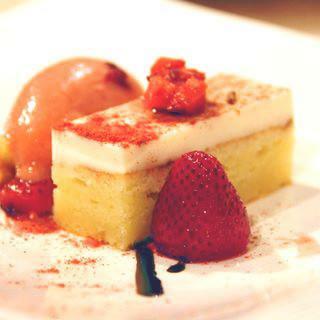 Love the recipe? Get the cookbook!